A dentist by training, Dr. Mike Sagman is a longtime advocate for animals who owns and manages DogFoodAdvisor.com, a website that helps pet owners make informed decisions about dog food products. At DogFoodAdvisor.com, readers can find insider tips as well as reviews of and ratings for thousands of items. Dr. Mike Sagman and his team at DogFoodAdvisor.com recently shared an article with tips for finding superior dog food brands. The first step in ensuring that your dog is getting the right food is to check product labels. Things to avoid include unidentifiable meat ingredients, questionable by-products, and preservatives. Generally speaking, you should look for foods that contain high-quality versions of not only meat, but also fruit, vegetables, and grains. It’s also important to research the company and manufacturer behind the product you are purchasing. 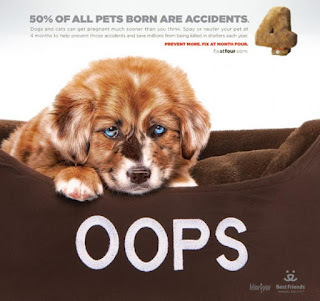 Despite the fact that many dog owners are quick to distrust large pet food companies, it’s the smaller organizations that have a history of creating the highest number of pet food recalls. In fact, the majority of recalled dog foods in recent years have come from the latter. Large corporations like Big Heart, Mars, and Purina, on the other hand, are more likely to produce safe products that adhere to the nutritional claims on the packaging. Regarding nutritional claims, dog owners should be aware that pet food companies are not required to verify the nutrient content or safety of their products. To help ensure that your pet is getting what is listed on the packaging, you must confirm that the food underwent some kind of nutritional testing and the company carefully monitored the safety of the product through internal quality control measures. A dentist with nearly 40 years of experience, Dr. Mike Sagman launched The Dog Food Advisor (The Advisor) in 2008, following the death of a beloved family pet. His dog Penny was a victim of the largest pet food recall in US history. Through The Advisor website, Dr. Mike Sagman and his team have distributed their reviews and analysis of over 4,500 different types of dog food to help concerned pet owners avoid similar tragedies. Expert contributors at The Advisor provide a wealth of information for dog owners seeking a food for their pet’s specific needs. One common problem requiring a special diet is canine obesity. Many dogs start to get a little thick around the middle due to lack of exercise, larger-than-necessary portions of food, or excessive treats and table food. When a diet is necessary, a dog owner should consider several factors. First, reducing calories isn’t always enough. Unfortunately, many food manufacturers cut calories by reducing the amount of protein and increasing the amount of carbohydrates in their food. Unlike with human dietary recommendations, dogs may not benefit as much from reducing their carb intake when looking for weight loss. When searching for a good food for a dog on a diet, an owner should consider protein, fat, and caloric counts. Senior and light foods may not be the right option. Second, owners should carefully monitor the number of treats they give their dogs. Most dog owners love treating their pets every now and then. Unfortunately, those treats can add up, especially when multiple family members are handing them out. One vet suggests setting aside the amount of treats the dog can have at the beginning of the day. When they are gone, the dog has to wait until the next day, no matter how much he or she begs. Reducing portions is also a good strategy. Cutting a dog’s intake by 15 to 20 percent for six to eight weeks can help with weight loss. Finally, exercise is a must. Burning calories by walking and playing can significantly aid dieting efforts. A fellow of the American College of Dentists, Dr. Mike Sagman practiced cosmetic dentistry for over 35 years, restoring the smiles of hundreds of patients. As founder of review and reference website, The Dog Food Advisor, Mike Sagman gives guidance to dog owners on commercial diets to keep dogs healthy. The dietary needs of large breed puppies are very different from those of small breed puppies. Failure to meet these needs may lead to skeletal disorders such as elbow dysplasia, osteochondrosis, and hip dysplasia. Hip dysplasia in dogs is characterized by the malformation of the ball and socket joints in a dog’s hip. When the ball and socket don’t meet as they should, the joint rubs and grinds rather than sliding smoothly. Gradually, the hip may even lose its function. Large breeds are more susceptible to hip dysplasia because they grow much faster. This fast growth means that their bone structure must develop much faster, increasing the risk of improper formation. To reduce the risk of their pets developing hip dysplasia, pet owners should avoid overfeeding puppies as this causes puppies to grow too fast, leading to skeletal issues. Pet owners should also avoid putting large breed puppies on excessively high calcium diets as puppies have a problem regulating their intake of calcium. A 1.2 to 1.8 percent calcium content in dry food is recommended by the American Association of Feed Control Officials. After serving as a captain in the United States Army Medical Department Activities (MEDDAC), Virginia dentist, Dr. Mike Sagman, operated a private practice focusing on restorative and cosmetic dentistry for nearly four decades. A passionate animal welfare advocate, Dr. Mike Sagman actively supports organizations such as the Best Friends Animal Society. Since its founding over 30 years ago, the Best Friends Animal Society has remained the largest no-kill animal sanctuary in the United States. In order to help minimize the number of homeless animals in the country, the organization runs the Spay and Neuter Education Program. The Best Friends Animal Society considers spaying or neutering as one of the best gifts owners can give to their pets. They also see it as a gift to the community, as the procedure helps alleviate overcrowded shelters and discourages killing. In order to raise awareness about the procedure’s benefits, the society launched a national marketing campaign a few years ago. Called Fix at Four, the specially designed campaign encourages owners to spay or neuter their pets by the age of four months. Since gaining traction, Fix at Four now counts television stars Eric Stonestreet and Linda Hunt among its supporters. Dr. Mike Sagman practiced restorative and sedation dentistry in Newport News, Virginia, for over four decades. 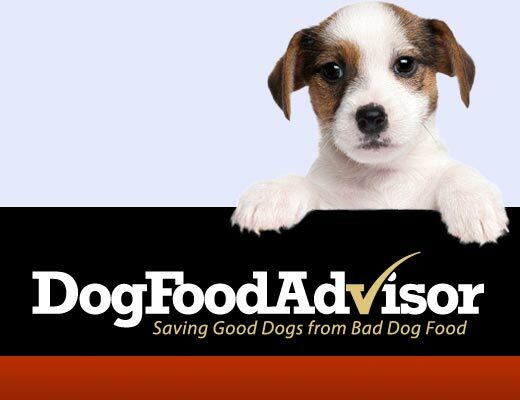 Today, Dr. Mike Sagman is the owner and managing editor of DogFoodAdvisor.com, a popular website which provides information and star ratings for more than 1000 pet food product lines and brands. Dr. Sagman offers the following advice to consumers searching for the best dog food. 1. Check labels. While pet food labels can be difficult to read, they also help reveal hidden secrets about quality of the food inside the package. Avoid any foods that feature anonymous meat, generic by-products or chemical preservatives. Further, research any preservatives you aren’t familiar with. 2. Consider all dog foods but favor major brands. Many people distrust large brands, often believing that smaller brands take more care to produce safe products. However, in a recent study, the website discovered that even though smaller companies account for just 7% of the pet food and treats sold, they’re responsible for 83% of all the product recalls. 3. Look for testing. Research the pet food to determine if it was subject to nutritional testing prior to release. Pay particular attention to feeding trials and laboratory analysis. 4. Research product design. Pet food manufacturers are under no legal obligation to have vets or animal nutritionists involved in a product's design. Many dog foods are actually designed by amateurs. So, take the time to contact the brand in question to determine who was responsible for a dog food's formulation.